Specialty coffee and teas, sandwiches, cakes and a variety of unique baked goods! Established in 2011 in the heart of the Japanese Village Plaza in Little Tokyo, Cafe Dulce is a neighborhood café and bakery focusing on specialty coffee and teas, sandwiches, cakes and a variety of unique baked goods ranging from Roti Buns to Spirulina Churros, to an array of signature donuts like our most popular Green Tea Donut. They proudly serve and rotate our coffee roasters each month and make sure each cup is perfect until the last drop. 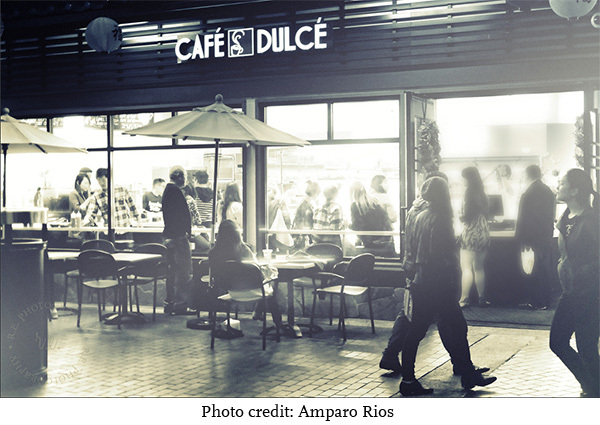 Café Dulce is located at 134 Japanese Village Plaza Mall; a few blocks away from the Metro Gold Line (Little Tokyo/Arts District Station). For your best route, use the Trip Planner.